The perception of consumers has changed dramatically over the past decade and has in-turn driven the food manufacturing industry, like a speeding semi in the fog, in many different directions. It’s a complicated relationship in which manufacturers and purchasers of food ingredients have had entire categories of ingredients removed from Approved Lists just because the name is too long. Even if derived from all-natural ingredients, just the sound of an ingredient like Xanthan Gum elicits a negative response from the new generation of consumers. Consumer perception weighed against product reality. As custom developers and manufacturers servicing industrial bakers (and their marketing departments! ), it is incumbent upon us to have ready solutions to your regulatory concerns so you can respond to the latest consumer trends. As many artificial colorants have recently fallen out of favor, we are very well-positioned to formulate a variety of naturally-colored products. Do you need only natural colors to appear on your label but cannot find the right color product to satisfy the project? We can help! Unacceptable Ingredient Lists will continue to grow but Stewart Ingredient Systems will continue to be on the forefront of developing innovative products for the next unique generation of consumers. Stewart Ingredient Systems, Inc. has been formulating solutions for smaller portions and higher flavor intensity to specifically combat the marketplace reaction over the past 5 plus years to smaller portions and better-for-you options in the grocery aisle. Our products can be found on the shelves today in GMO-Free, HFCS-Free and All-Natural snacking options. As more bakers and food manufacturers continue to develop new ideas to attract the more conscious and attentive consumer, SIS stands ready to answer all new developments from the concept level through market realization. Our development team prides itself and generates opportunity through our rapid response to requests in order to keep developers working rather than waiting on product. When we provide developers with product with our rapid turnaround times, we provide the best opportunity to keep marketing teams involved and interested in approving the next idea. Whether our focus is delivering high quality flavor and eating experience in a 5-inch pie rather than a 12-inch pie with our fillings to help deliver extraordinary flavor release inside portion controlled items or developing better-for-you options with inclusions for nutrition panels, SIS has the expert developers and manufacturing team to bring these ideas to the marketplace. Don’t hesitate as we head directly into the fall season. Contact Ross Stewart today at 312-254-3539 or RStewart@Stewartis.com! 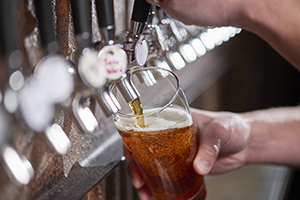 SIS is pleased to announce that we now offer ingredients for the brewing industry! For the first time in our history we are now supplying infused concentrates for use in the craft brewing process. 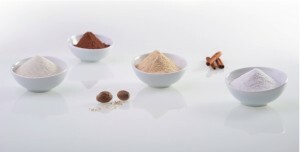 Cleaner and more effective than using the raw ingredient, SIS can formulate and design a flavoring system that allows manufacturers to produce a more predictable, repeatable and cleaner process. Contact Ross Stewart (312-254-3539 or RStewart@Stewartis.com) today to discuss receiving samples of our concentrates. With our on-site R&D facility, our process begins with understanding the goals of your finished products and then building our concentrates to custom fit within your vision. Our business model dictates that we only succeed if your product makes it to market. Waste no time. Contact us today! “Interest in natural and ‘getting back to basics’ has boosted ancient grains and superfoods, fostering a principle that age-old staples are better than today’s manufactured options." Millennial-parents are dedicating space in their cupboards to snacking food options that, as early as a few years ago, were not available in grocery aisles. Weighed against Gen X & Baby Boomers, Millennial-parents are in a league of their own when it comes to what foods they allow their kids to consume and the market which they represent is only growing and becoming more influential to the food industry each year. More conscious of processed ingredients & less likely to purchase foods that are perceived to be ‘unhealthy’, the industry is scrambling to rush product to market that better fits their demands. Manufacturers are working with ingredients that they’ve never had to source before and vendors are offering a more diverse selection of ingredients than ever, and SIS has been continuing our efforts to create the best and most valued added options for the baking industry. Whether your project calls for claims driven inclusions, offerings with less processed ingredients or even eliminating specific ingredients to react to the market “getting back to basics”, SIS is ready to get working for you. 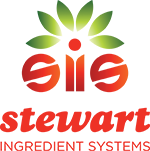 To see offerings from SIS and talk to a representative directly, please come see us at the Chicago IFT Suppliers Night 2015 on November 11th at the Donald E Stephens Center in Rosemont, IL at booth #1021 from 12pm-5:30. The annual IDDBA report (What’s in Store – 2015) provides excellent data and analysis on evolving consumer trends spreading across all platforms of baked goods and the bakery aisle. What continues to catch our eye when going through the “Bakery Department” of this year's report is the mounting data on the growing challenge of reaching millennials in the bakery section. Specifically, the challenge is set out for in-store bakeries to better accommodate the rapidly evolving demands of consumers who were born between 1980 and 2000. It is thought that millennials' changing tastes in condiments, gravies and sauces is driving consolidation in that grocery segment as well, resulting in the recent Kraft and Heinz merger. The data provided by the IDDBA report indicates that millennials are 50% more likely than boomers to place an importance on digestion related health claims such as gluten-free or lactose free. Of further importance is that 39% of millennials purchase their baked goods at preferred stores, not their primary grocer. That figure compares directly to baby boomers, where only 27% utilize specialty bakeries for those purchases. In 2014 and going forward for the foreseeable future, millennials will continue to actively seek out specialty products that directly cater to their heightened desire for health and wellness driven foods and continue to pose a specific problem for bakery snack producers, as well as in-store bakeries. 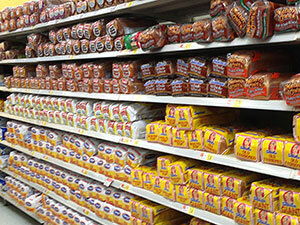 It is an enormous take away that all the current consumer data continues to show: The biggest challenge for bakery snack producers to remain relevant on your grocers shelves is to make a connection with the toughest consumer group they’ve ever encountered – Millennials. 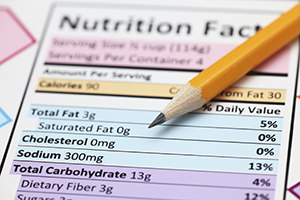 We wrote in this space back in March 2014 about the changes that had been proposed by the FDA to overhaul nutrition labels on packaged foods. At that time, public comment on the proposal was opened up and we waited for the industry to respond. Turns out, the American Bakers Association had significant criticism to offer in a 31-page dossier filed to the US FDA prior to the August 1 deadline for comments. The language used is interesting as the ABA has stated that it is “deeply concerned” that the FDA does not have the authority for enforcement of the new regulations. If the FDA does not have authority to enforce the rules of the nutrition labels of our packaged foods, who will once final overhaul is complete? Additionally, among the many points in the dossier is that the ABA is making the case for as much as a 5-year extension on the ruling before any form of repercussions can be brought back upon the manufacturers and food companies rather than the two-year compliance originally proposed. The question perhaps that we should be asking ourselves is how long can the original proposal stay just that; A proposal? With the battle lines being drawn out in real time over major issues brought up by the ABA including the definition of dietary fiber & whether or not the FDA has the authority to enforce a mandatory sugars declaration, we certainly would be taking the “over” in terms of the timeline before reform on US nutrition facts panels are agreed upon and finalized. An interesting article came out this month discussing one of the most talked about trends within the bakery industry today: Fiber enriched snacks. Follow the link below to read the entire article as it goes into great detail on the industry wide focus on ways to more effectively integrate fiber into marketable formulas. The litany of forms and applications in which fiber-rich bakery snacks have been developed over the past five years alone is staggering considering the quality now demanded by consumers. Fiber enriched bakery fillings are just one of the many health and wellness driven offerings that SIS supplies. Please use our Sample Request Form today to get started on your next project! "While the potential health benefits of fiber may be vast, there are many other reasons that manufacturers have looked to utilize fiber in bakery products. Indeed, fiber can be used in a wide range of applications, and can even help to reduce levels of sugar and fat by acting as a partial replacer." Fiber rich bakery: What does the science say? The Future of Ethanol Production? Groundbreaking technologies have been introduced to the domestic food industry throughout the history of modern society. In the past century alone our society - and more specifically the domestic food industry - has been introduced to countless innovations and new technologies that have fundamentally changed the way the food industry operates. Where would the food industry be right now if families at home were still gathering ice and snow for an icebox to make foods last longer at home? I, for one, stand and applaud on a nightly basis the work done by Frédéric Swarts in 1890 followed up by Thomas Midgley in 1928 in developing gas & liquid Freon leading to refrigerators in all of our kitchens and extending the shelf life of our foods. I say “Thanks, Thomas and Frédéric!” each and every time I open that brilliant device. So when I read an article that details a group of scientists realizing the potential of eliminating biomass from the process of producing ethanol and instead utilizing renewable energy sources, my immediate thought is in how this could change the food industry going forward. The potential change this developing technology could have on industry is at it’s worst devastating to those who grow crops utilized in the current production of Ethanol in the USA and at the same time tantalizing to food manufacturers competing for the crops sent out for the manufacturing of ethanol instead of corn syrup, starches etc.etc. You and I do not have be named Adam Smith to come to the conclusion that there could very well be a sea change in purchasing departments across the nation if the experiments recently published are fully realized in the coming years. Scientists say they have developed a new way to make liquid ethanol efficiently without using corn or other crops needed in the conventional method for producing the biofuel. The scientists said their process turns carbon monoxide gas into liquid ethanol with the help of an electrode made of a form of copper. They said the new technique may be more environmentally friendly and efficient than the current method. Critics say that growing crops for biofuels is energy-intensive and takes up vast tracts of nonagricultural land, using too much water and fertilizer. They also say diverting corn and sugar to make biofuels pushes up food prices. The United States leads the world in ethanol production, with 13.3 billion gallons in 2013, followed by Brazil's 6.3 billion gallons, according to the Washington-based Renewable Fuels Association, which represents the U.S. ethanol industry. A group of scientists led by Stanford University chemist Matthew Kanan described the new method in research published in the journal Nature. Kanan said a prototype device could be ready in two to three years, enabling an assessment on whether the process can become commercially viable. In full context, the recent comments from Co-CEO of Whole Foods Market Walter Robb read like a line drawn in the sand for big retailers to take note of. As domestic retail giants continue to fortify their product offerings with more natural and health driven products, competition for the attention of consumers will be at an all time high for the unquestioned leader of the category. Thus far, at least publicly, WFM doesn’t seem worried about their market share. It must be considered, from a product developers standpoint, that with giants of retail going “all in” on natural and - at least in their minds - directly competing with WFM, more questions must be asked of developers trying to create products that are not only good for you, but also stand out to a more savvy consumer on increasingly crowded shelves. 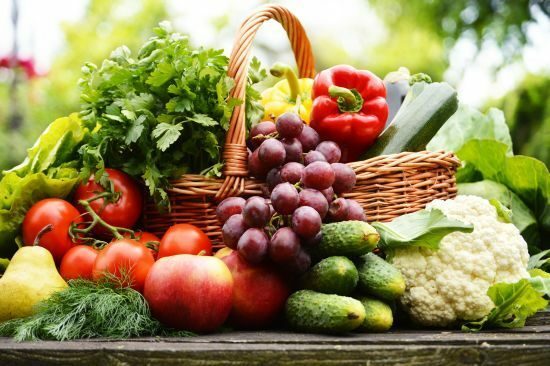 While the fight for natural foods doesn’t worry WFM, it certainly is one that suppliers and developers are keeping a keen eye on. 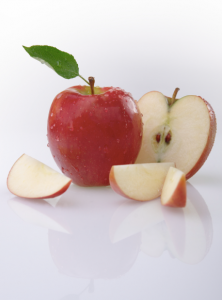 To get a taste of the all natural offerings SIS can provide for your next great tasting snack, contact us directly through our Sample Request form! He does not believe conventional retailers who are adding more space for natural products are taking share away from Whole Foods. “I think they are taking share from each other,” Robb noted. Anyone who has walked down a grocery aisle in the past year has witnessed the sky rocketing positions that yogurt, and more specifically, Greek Yogurt have been enjoying. As noted below, since 2008 sales have nearly doubled in the yogurt category. This appears to be a durable trend that does not show any signs of slowing in the immediate future. Competition between yogurt brands is at an all time high and the bakery industry has taken notice. SIS has been developing bake-stable yogurt fillings for bakery use for decades. From Low Water Activity offerings to a full array of Danish-style fillings and toppings, our considerable experience can be brought to bear on any traditional or new product platforms. The market has demanded that we continue to refine our formulations to meet evolving consumer demands for this specific style of yogurt and explore new and innovative ways to include such a powerful market mover across many different snacking platforms. Contact us today about testing a sample of our Greek Yogurt-style fillings and toppings or submit a Sample Request Form so we can get to work on your next exciting project! "Yogurt sales have increased by 40% since 2008 as consumers continue to demand healthier snack alternatives driven by the popularity of varieties and brands of Greek yogurt products." Yogurt Wars: Can Anything Compete With Greek?